Move over Uber. SeaBubbles offers something unparalleled: a way of commuting around the city on water taxis with zero CO2 emissions, no waves and no noise. The team behind SeaBubbles has been making “flying” boats that hover above water for decades now. They decided to take it to the next level by making a water taxi prototype for public transportation use. Not only will it maximize the waterways that connect different parts of cities, but it will also allow commuters to travel at the same speed as a car, for the same fee, but without any environmental impact, change in the city’s infrastructure or additional cars on the road. 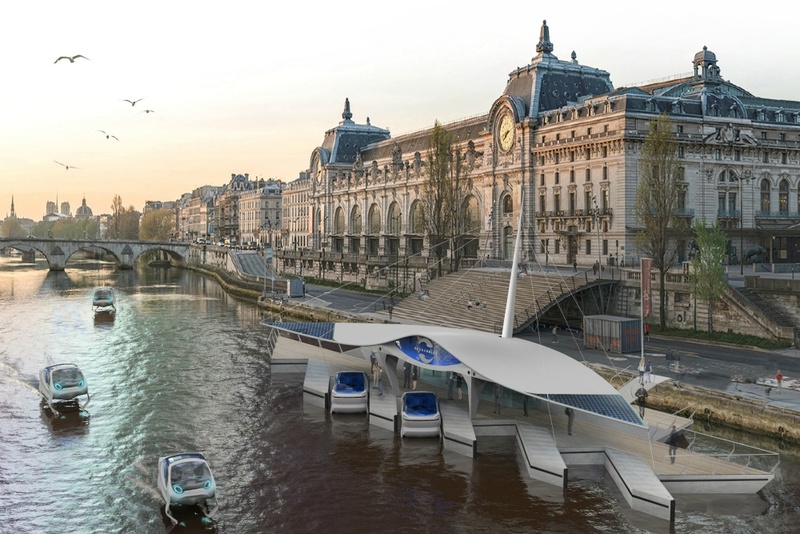 The prototype, which has been tested on the Seine river in Paris, measures 14 feet long and seven feet wide. It operates with a 2×10 kilowatt motor and a 20 kilowatt-hour battery. The water taxi can start flying at five knots, while the top speed is 14 knots. It also comes with a self-charging dock.